to a sea of possibilities. Coastal style luxury in every detail. Morning coffee with a Bayfront view. 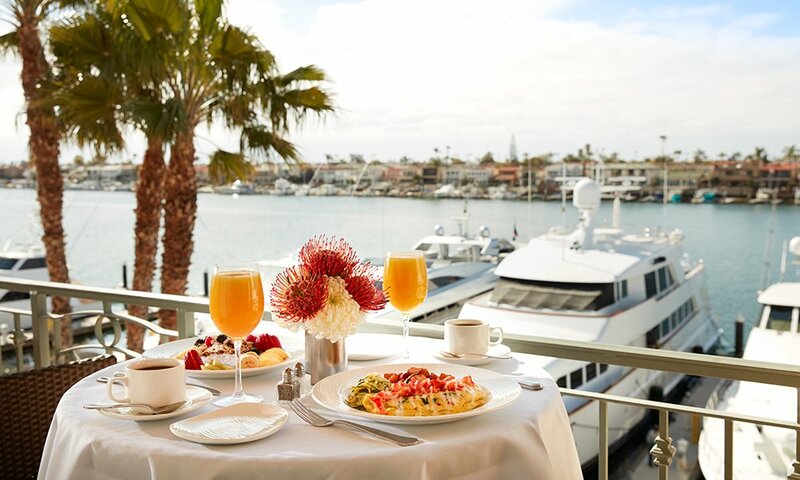 Indulge in the best brunch offerings from the Balboa Bay Resort culinary team with 11 brunch stations including pancake, carving and omelet stations; raw bar; and kids corner. Be sure to save room for the dessert station featuring festive holiday treats crafted by Pastry Chef Saree Musick and her team. Sparkling wine and non-alcoholic beverages are included. Spend Easter Brunch with family and friends at Waterline Newport Beach. Create your own perfect three course brunch with a wide variety of delicious options of sweet and savory favorites. Enjoy classic brunch favorites like lemon ricotta pancakes and dark chocolate waffles or try something new like the roast leg of lamb and burrata crostini. Enjoy bottomless bubbly for $10 per person. Enjoy brunch with a view and unlimited sparkling wine or mimosas! Come join the team with over 70 years of history, located on the beautiful Balboa Bay! 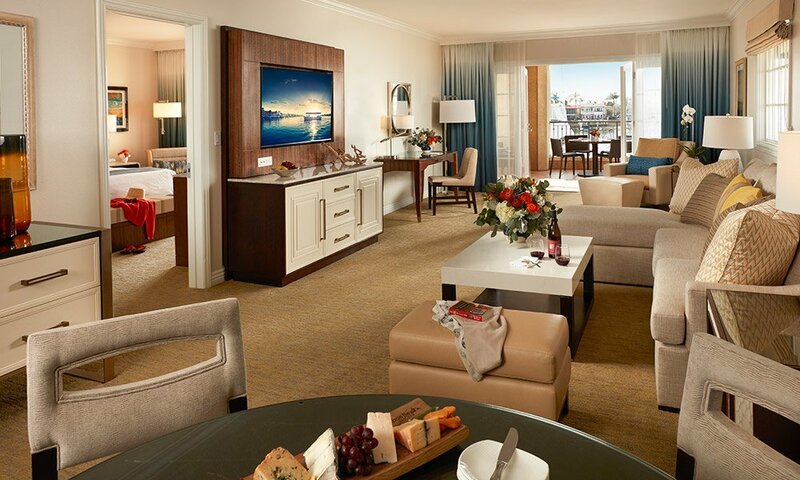 Take in the gorgeous views and breathe in the ocean air of the infamous Orange County seaside city. When you're on vacation, the possibilities are endless. Cruise Newport Bay for a relaxing afternoon or evening with loved ones. Dress the part of a Newport Beach local. From chic jewelry to contemporary clothing, our Bayfront Boutique has it all.